For over twenty years, we have been in the business of providing distinct and exquisite environments for Outdoor Weddings. We are one of the top leading companies in the tent rental industry on the north shore. Our company takes the time to work individually with our customers to ensure superb results on the day of their special event. We recognize this is one of the most important days in a person's life. 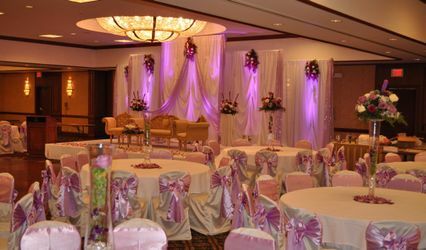 Our dedication to making each event, "a truly beautiful and enjoyable event", is our top priority. We offer a complete line of clean high quality tents, canopies, and marquees. 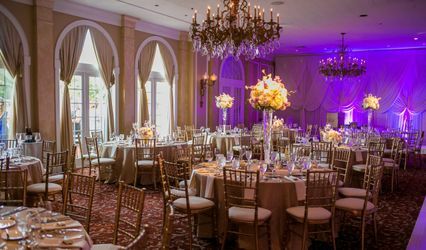 We also provide tables, chairs, linens, portable bars, staging, dance floors, custom decorating, variety of lighting options, and more! We supply our customers with professional installation and exceptionally thorough service. The equipment looked new , My daughter was pleased ! And Mallisa was fantastic to work with would highly recommend for anyone looking for a outdoor wedding . Great experience. AAA was great to work with leading up to our wedding in SE Wisconsin. In addition to a site visit from the company owner a few months before the big day, they kept up a steady stream of communication and helped us troubleshoot tent space and rental equipment for our constantly changing headcount. Jenni, thank you SOOO much! You're a rockstar! The installation crew showed up on time (2 days prior to the wedding) and worked hard in exceedingly hot weather. Respect. There was a burned out lightbulb in a chandelier that we noticed the first night and they fixed it immediately. The take-down crew also showed up in a timely manner. They left the grounds clean and we really can't think of any complaints, only compliments. Oh! They have a sister company called WOW Events. If you are looking for a great wedding coordinator, you should check them out, too. I had no problems with them until the day they delivered the stuff. I asked them what time to expect my stuff and they said a time and showed up an hour earlier. Good thing someone was home because I needed to be there when they set it up. They never told me the dance floor would come a day later after they delivered the other stuff. When they installed the chandelier it was super low and ppl could have hit there head on it so I had them raise it. Also make sure to see them first mine was super ugly and couldn't get my money back for it cuz it was already installed. I asked for a bigger dance floor once my tent was delivered so they came 2 days later and then never even delivered the extra dance floor like I asked. After my wedding they came and picked it up and left 2 huge ruts in my yard from the trucks. One in which they didn't use for any of the stuff they took. Then I got asked to pay extra money for the dance floor in which I didn't receive. So after calling ppl and asking them to find pictures of my wedding I then found a pic of the dance floor and sent it to them. Then they stopped bugging me about the extra money.